Detailed modern map of Vancouver, BC in blue by Point Two Designs. Detailed City map of Vancouver, BC in blue. Nothing frames your memories quite like a map. Featuring an impressive level of detail, pin-point accuracy, top-notch paper quality and bold ink saturation, Point Two Designs city map prints are sure to spark a conversation once they’re displayed on your wall. 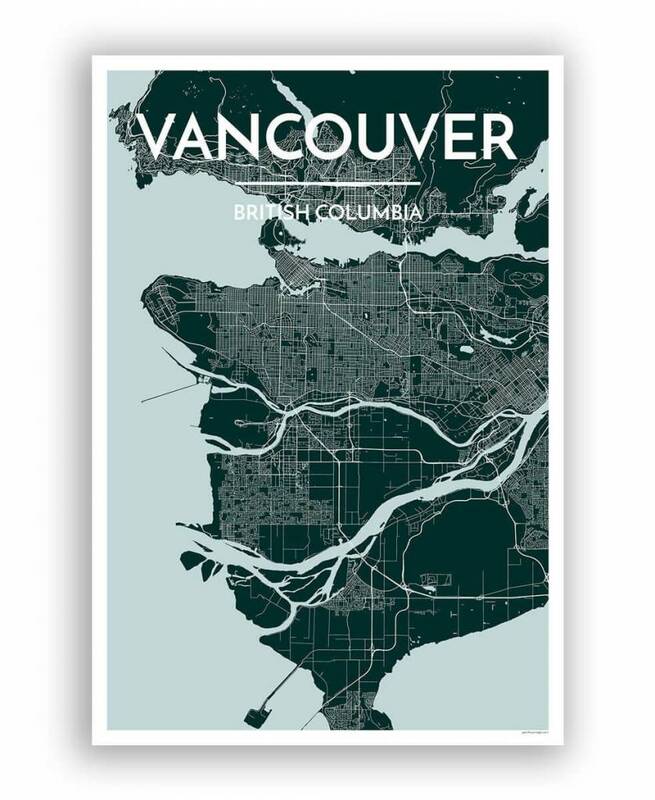 Maps are 12" x 18", printed on thick, semi-gloss paper and expertly designed by Point Two Designs in Vancouver, BC using 100-percent vector-based data for the sharpest details and boldest colours.